Tens of thousands of students are learning every day in buildOn classrooms, but not all of them are children. For adults denied education in their youth, buildOn’s Adult Literacy Classes provide a fresh opportunity to build a better life for themselves and their families. Considering that two-thirds of the world’s 775 million illiterate adults are female, the opportunity to learn life-changing skills is especially important for women in developing countries. That’s why buildOn is proud that 78% of the students learning in buildOn’s Adult Literacy Classes are female. Providing this second chance at literacy has been proven to boost women’s earning power, increase their children’s chances of surviving and thriving, and spark a ripple effect on most other development indicators. In places like Mali, where only 29% of adult women can read and write, adult education is crucial to moving economically impoverished communities forward. buildOn also administers our Adult Literacy Program in other project countries with extremely low adult female literacy rates, including Haiti (57% female literacy), Malawi (59% female literacy), Nepal (55% female literacy) and Senegal (44% female literacy). Senegal is buildOn’s newest project country to have Adult Literacy Classes, with the program starting in the fall of 2015. More than 17,000 adults have participated in the program to date, including 2,739 students in 2015 alone. Achieving basic literacy is a main objective of the program, but it’s also just the beginning. After six to 12 month of the two-year program, participants put their newly acquired literacy and math skills into practice by starting income generating projects of their choosing. These projects have include activities like commerce, gardening, animal husbandry, and textile production. For economically impoverished women like Sanata Togola from the village of Bla, Mali, education has opened new doors of opportunity and freedom. “Thanks to the program, I am now more independent,” Sanata says, showing off the spices, salt, oil, millet, and shea butter she now sells at a nearby weekly market. With her newly acquired literacy skills, she is able to accurately keep records and extend credit to her customers. As a result, she has seen her earnings increase. The strong need and desire for adult literacy and gender equality can be seen in nearly every community where buildOn has broken ground on our 880+ schools. In these villages, thousands of adults have lined up to sign the buildOn Covenant (which pledges they’ll send their daughters and sons to school in equal numbers) in the only way they can – by using an inky thumbprint. Most of those who sign in this way are women, but buildOn’s Adult Literacy Classes help ensure they’ll soon be able to write their own names and do so much more. Adult Literacy Classes are just one of the ways that buildOn is empowering women leaders across the globe. To learn more about buildOn’s commitment to gender equity in the classroom, on the worksite, and in our organization’s leadership visit buildon.org/what-we-do/global/. Pictured: A woman in Mali practices writing letters. Many women in developing countries are completely illiterate, so classes start with the basics like learning ABC’s. 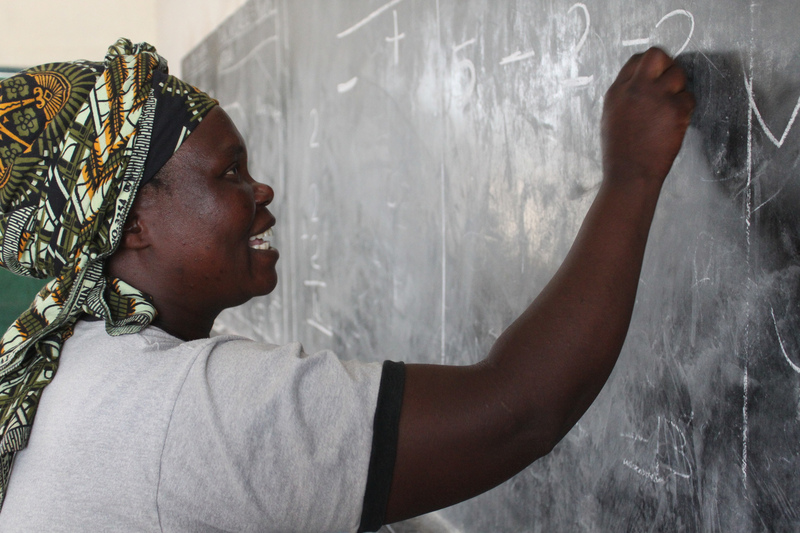 Pictured: A woman in Malawi practices math. Adult Literacy students not only learn to read and write. They also learn the basic numeric skills essential for supporting themselves. 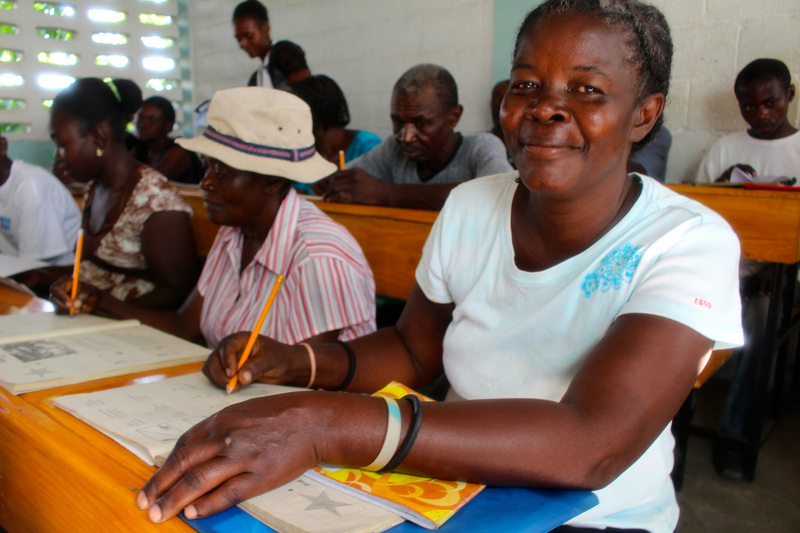 Pictured: A proud student at an Adult Literacy Class in Haiti. The ability to read, write and do math empowers women with the skills and confidence to become leaders in their communities. 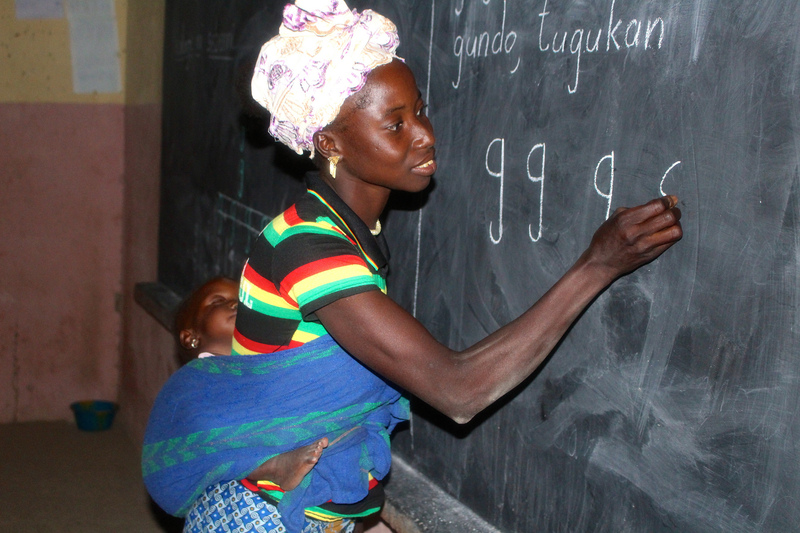 Pictured: A mother attends class with her child in Mali. 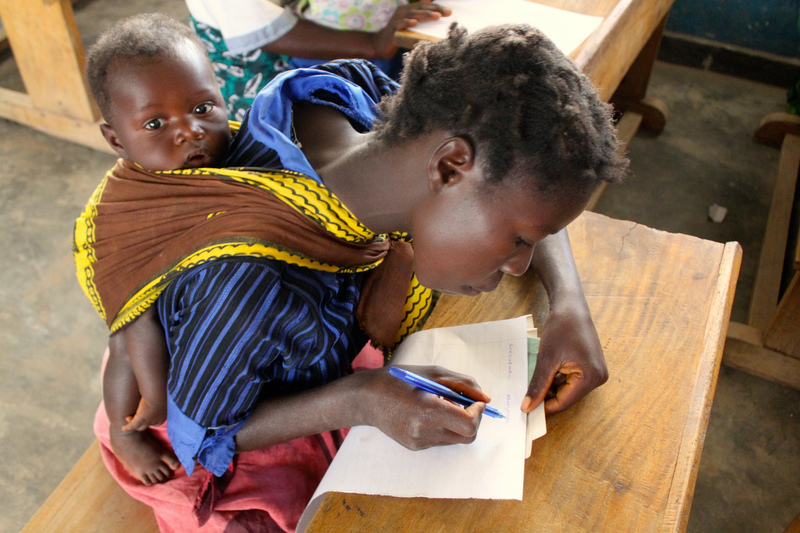 Her ability to read and write will greatly increase her child’s chances of breaking out of the cycle of poverty. Adult Literacy Classes are taught in the evenings in buildOn schools that children attend by day. Solar lighting from buildOn’s partnership with SolarCity makes learning easier in schools like this one in far western Nepal.